WiFi kiosks are coming to New Rochelle. 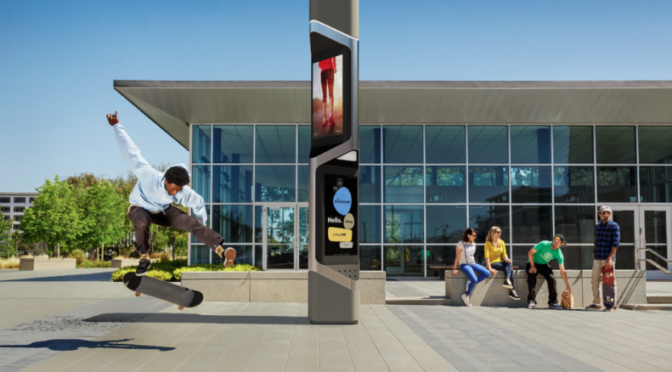 These handsome devices will feature interactive touch screens with lots of information, charging stations for mobile devices, and WiFi hot spots. 25 will be installed in the first wave (mainly in the downtown area,) eventually ramping up to about 100. You can read all about it in the Journal News. A healthy future depends increasingly on robust digital infrastructure, and these kiosks will help residents and businesses alike connect in a friendly, accessible way.